Dubai Global Village is one of the world’s largest shopping and entertainment events that has been held on annual basis since 1996. The current Dubai Village event is underway since 1st November 2017 and it will remain open till 7th April 2018. In order to attract more and more citizens and tourists, the administration of the event set a modest entry fee of AED 15. But as we are aware that value added tax (VAT) has taken effect from 1st of January 2018 in Dubai (and UAE) and this newly implemented tax covers lots of goods and services including entertainment industry. So, 5% VTA is also applied on entry ticket and other items of Global Village. The news was disappointing for local residents and tourists from around the world who are willing to see the entertainment programs and take advantage of the economical prices of world class products from around the globe for shopping. 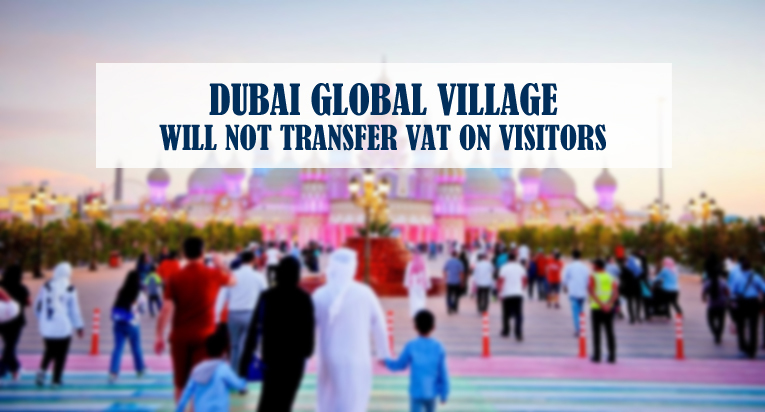 But there is nothing to worry for the lovers of Dubai Global Village because the administration of Global Village Dubai has decided not to shift the 5% VAT on visitors. Instead, the Global Village will absorb 5% VAT on entry tickets and their price will remain at AED 15. So, if you are a visitor who just wants to see the extravaganza of one of the world’s best festival, then VAT will not made any difference to you. But in case you are a customer whose intention is to do some shopping or take a ride of different sports, then VAT will affect your budget. It is because the tax will be applied also on all the items inside the Global Village and their prices will increase by 5% according to the standard VAT rate. But it is also important to note that the tax is a modest one that can easily be paid by both local residents and tourists. Therefore, it is expected that more and more people will continue visiting the Dubai Global Village and they will take part in shopping and leisure activities despite small increase in their prices. During last year, around 5.6 million tourists attended Dubai Global Festival. It is a tradition that number of visitors of the specific global event increases every next year. So, we are hopeful that more and more locals and tourists will visit the current 21st season of Global Village and this latest initiative by the authority will ensure to bring high number of visitors. Thanks for sharing very nice and important information on this topic.